Tasty? A shoe I planned to love for hybrid running on Trail and Road, but alas it was not meant to be. 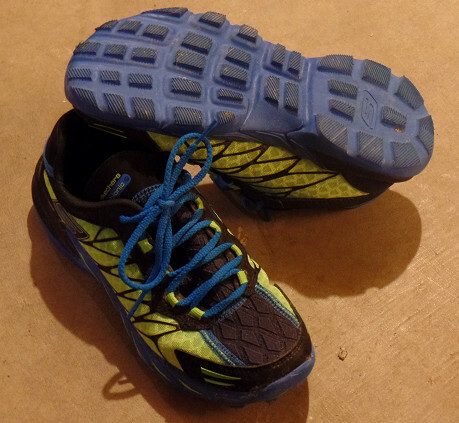 That said let me clarify, I have a pair of Hoka Cliftons (2014), that I totally love. In fact they have provided me with one of the best running experiences to date, so I was hoping for the same. However the Huaka’s use a stiffer RMAT material that creates just that, a stiffer ride. I prefer a cushier and softer ride. 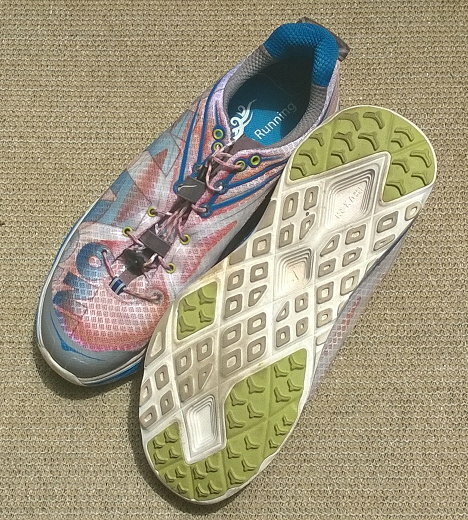 So these are leaving my rotation, but I will remain a Hoka fan based on the Clifton. Tasty? Love this shoe. This is a reasonable light weight, low to the ground trainer, and it lives up to its name. This shoe claimed a solid slot in my rotation for exactly what its designed for, and it offered a unique slightly bouncy ride. In fact the experience has been so positive that I continue to experiment with other On shoes for road work and trail running. However, I have been preferring something with a bit more full cushion feel, so right now my daily trainer for the road is a Hoka Clifton. That said this was a solid shoe and enjoyed every run in them. And I should mention – never a blister did I have! Tasty? 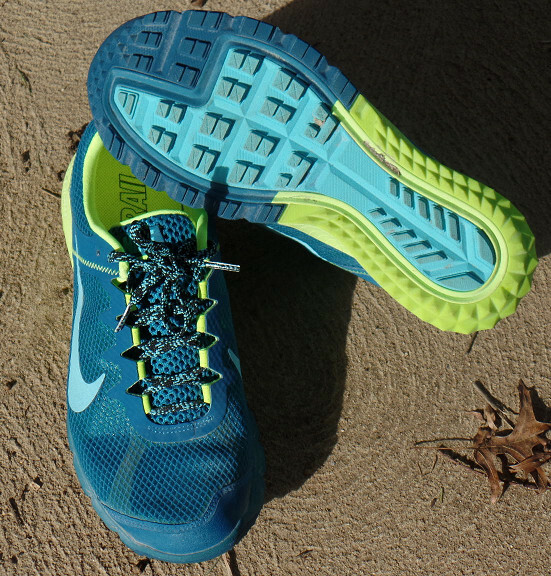 The Nike Air Zoom Terra Wildhorse has a very long name and people love it. I however have decided to retire it from my running rotation. Its a good looking shoe and fun to wear, but the cushioning is just too minimal in the forefoot for my taste. In this case I think I should have gone with the Nike Zoom Terra Kiger. The Wildhorse has an air cushion in the heel only, while the Nike Terra Kiger has air cushions in the heel and forefoot. I do plan to keep this shoe around and use it for cross-training days. It works great in the Gym, it locks me in place and lets me concentrate on the move, not my feet slipping out from under me while attempting a Pike Press. Tasty? Love this shoe for its purpose. This is a light weight, low to the ground racer, and it lives up to its name. This shoe claims a solid slot in my rotation for exactly what its designed for, and offers a unique slightly bouncy ride. In fact the experience has been so positive that I am experimenting with one of the other On shoes for road work. Tasty? Something about my foot mechanics make this shoe not work for me. I love the Altra Torin and really fully expected just a more cushy version of the ride. 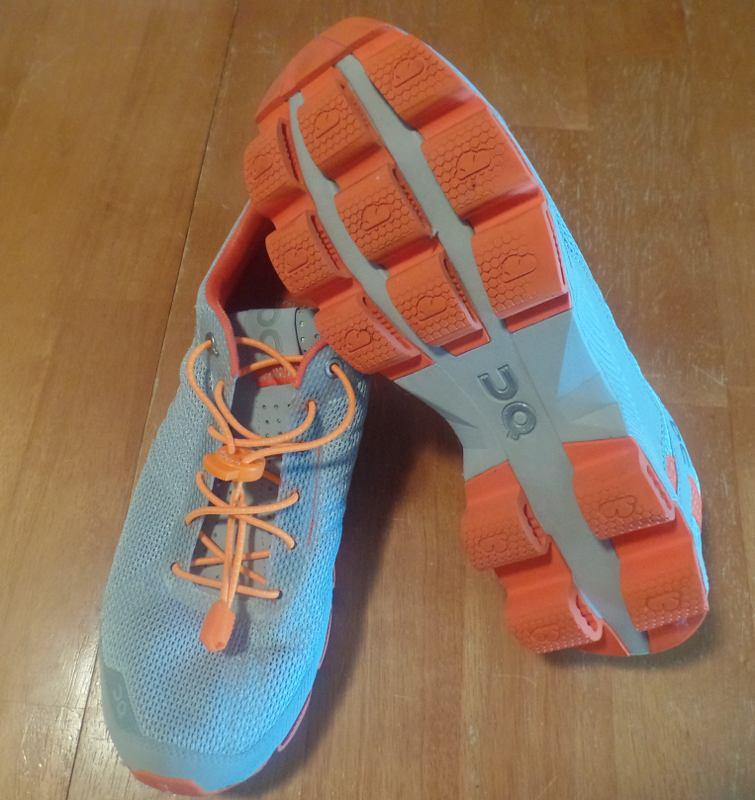 But the cushioning on the Olympus seems to drop off steeply right at the mid-foot to forefoot transition point and that seems to be right were my foot lands. The resulting incline of cushion creates an uncomfortable run for me. As a result I have removed the Olympus from my rotation, but I love the Torins so much, I plan on experimenting with more Altra shoes in the future. Tasty? Nice shoe, just not enough cushion for my taste. 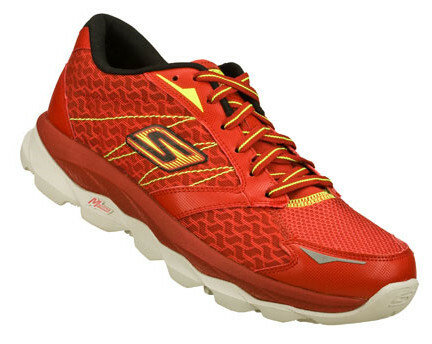 This is a low drop trail shoe with some nice features (spherical heel and support pods), to help keep your run stable under various outdoor conditions. While I like the shoe in general I have never been able to pile on the miles, its minimalist design is just to minimalist for my personal taste, but that said I still do light interval runs and bike in the shoe. 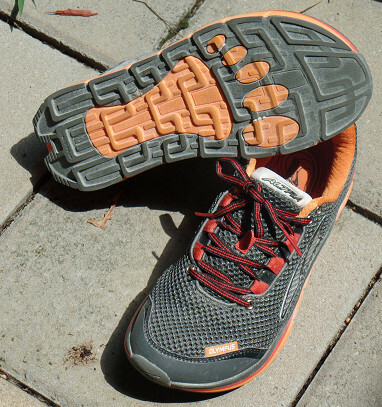 It makes for a nice versatile trail shoe, so it remains in my rotation for specific activities. Please note: The lock laces in the picture are not standard and were added later. Tasty? Yes. My son loves these shoes, and while my son complained about other running shoes, he has never complained about these during our runs. In addition, he seemed to drag his feet on the trail in other brands, but does not display that behavior with GO bionic Trail. These have become a primary shoe in his rotation. Tasty? Yes! This has become my go to shoe and remains in my rotation. In fact I don’t see this shoe leaving my rotation any time soon. I have ran on road, trail, and treadmill and it has performed well every time. 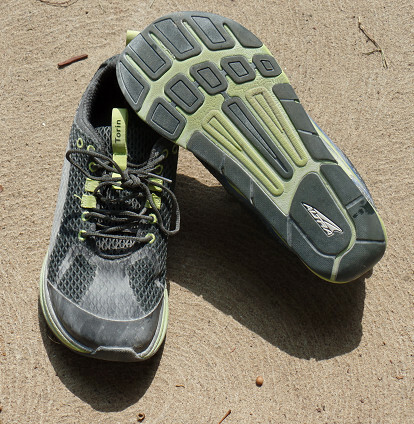 The roomy toe box and cushioning keeps bringing me back to this shoe, especially for recovery runs. 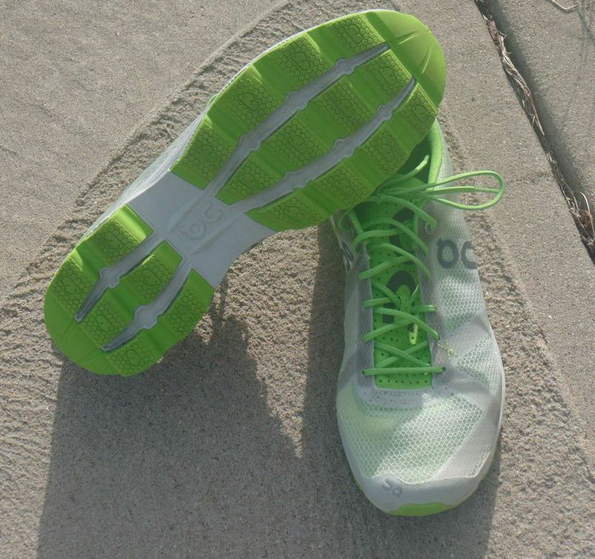 If your new to Zero Drop shoes you may need to start with some shorter runs to adjust, but otherwise a great shoe. I have also been experimenting with the Altra Olympus, but I keep coming back this one. Altra has a newer model out and I fully plan to end up with another pair when these wear out. 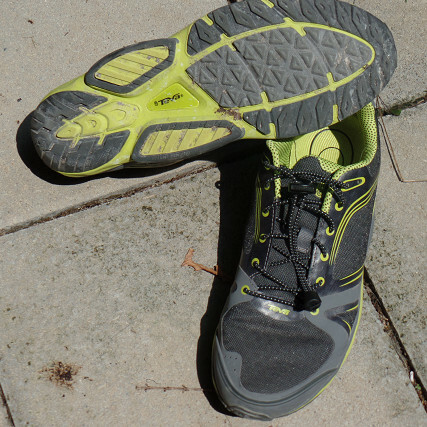 Second opinion : Check out the Ginger Runner’s review. Posted on August 6, 2014 by KeithPosted in High Cushion, Neutral, Running Shoe, Trainer, Zero DropTagged Running Shoe.